I’ve had a few very busy months, but among other things, we finally made it to Canada to visit my sister! What a wonderful trip, amazing country and wonderful family reunion it was, really the holiday of a life-time for us! I will share some photos soon. 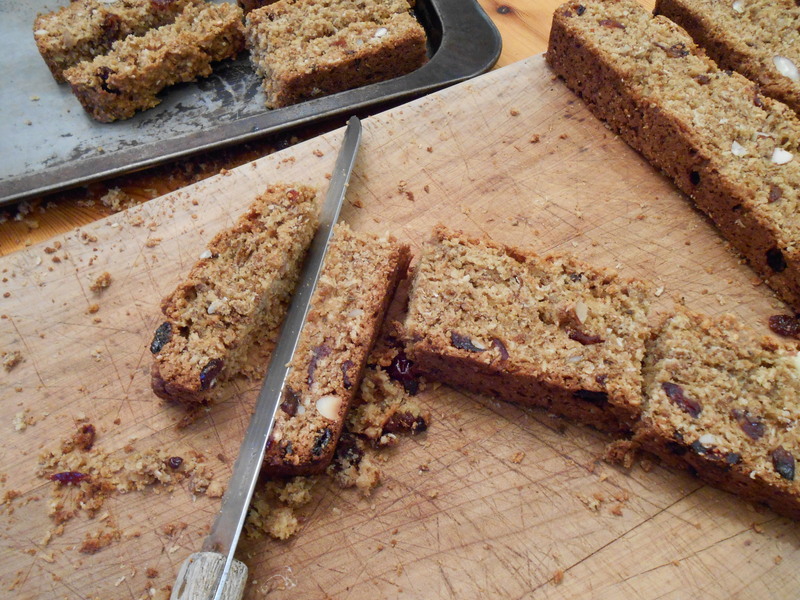 Today, though, I’m sharing a recipe to make before you go camping – the nicest, easiest recipe for Healthy Rusks, which make the best breakfast when camping. Imagine sitting around your early morning camp fire, watching the day come to life, with a cup of freshly brewed coffee in your hand. Now make that image even better and think of having one of these rusks to dunk in that coffee! Oh my – now I’ve set off a dual craving in me – for camping AND rusks with coffee!! Rusks are usually hard work – these are not. They are stirred together, baked in a large pan, sliced into ‘fingers’ and dried out. Couldn’t be easier, people!! Slice into fingers (as in my photo), or how ever you wish – just make them a good shape for dunking! I can’t claim this recipe as entirely my own, but I’ve tweaked it so much over the years that it feels like mine. Sadly, I have no record of the blog it originally came from, so can’t even pass on credit. If it seems familiar to you, let me know!